I want to congratulate Hunter on becoming the new Member of Parliament for Nunavut and congratulate Jack for running in this election. It has truly been an honour to serve Nunavummiut over the past seven years. Being the first Inuk in Canadian history to be appointed to Cabinet presented incredible opportunities. I am proud of what I have delivered. I am proud that for the first time Inuit qaujimajatuqangit is being used and incorporated at the Federal level, this is something I fought for and I hope will continue. Each community and each one of us is different in our struggles and our triumphs, but it is because of the people in Nunavut, that we will overcome any challenge before us. I am confident that Nunavut is on the right track and if we continue to invest in our people first, we will build even stronger and healthier communities. As I begin the next Chapter of my life, I want to say thank you to the countless people who have enriched my life over the past seven years – none of this would be possible without you. I look forward to spending some well deserved time with my son and husband. I want to congratulate Hunter on becoming the new Member of Parliament for Nunavut and congratulate Jack for running in this election. It has truly been an honour to serve Nunavummiut over the past seven years. Being the first Inuk in Canadian history to be appointed to Cabinet presented incredible opportunities. I am proud of what I have delivered. I am proud that for the first time Inuit qaujimajatuqangit is being used and incorporated at the Federal level, this is something I fought for and I hope will continue. Each community and each one of us is different in our struggles and our triumphs, but it is because of the people in Nunavut, that we will overcome any challenge before us. I am confident that Nunavut is on the right track and if we continue to invest in our people first, we will build even stronger and healthier communities. As I begin the next Chapter of my life, I want to say thank you to the countless people who have enriched my life over the past seven years – none of this would be possible without you. I look forward to spending some well needed time with my son and husband. It was wonderful to be in Kimmirut yesterday! Thank you everyone who called into the radio show and who came to the community hall, I appreciate all of your support! It was wonderful being in Kimmirut yesterday! Thank you everyone that called into the radio show and to everyone who came out to the community hall! Your support means so much to me. It was wonderful to be in Pang the last few days, thank you everyone for your support! 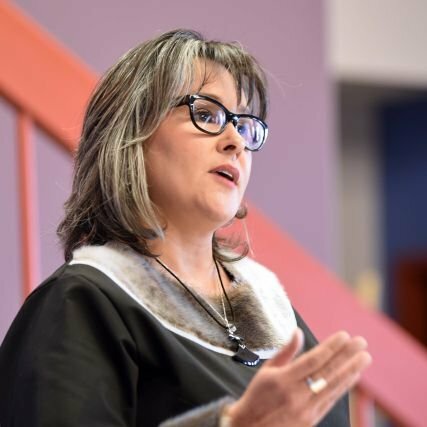 Statement from Leona Aglukkaq, Conservative Party of Canada Candidate for Nunavut With Election Day, October 19th, fast approaching I want to ensure that Nunavummiut have all the facts as they relate to the Liberal Party’s plans for new forms of gun control. During the CBC all candidates Forum on October 13th, Mr. Hunter Tootoo told the audience and listeners that his party, the Liberal Party, would not bring back the old long-gun registry by citing one line from the Liberal Party Platform. This was a failed registry, which the Liberals created and fought to keep even though it cost Canadians hundreds of millions of dollars. Money that could have been spent on infrastructure, healthcare and education. However, Mr. Tootoo mislead all of us by not explaining what the entire Liberal platform says and that is to require, “vendors to keep records of all firearms inventory and sales” and that the Liberal Party, “will ensure that Canada becomes a party to the international Arms Trade Treaty”. Mr. Tootoo, are you aware that to be part of the Treaty your platform proudly cites, that Canada must “maintain national records”. Your platform is vague and misleading to Nunavummiut. You are promising another wasteful registry with a different name. The facts are simple. The Liberals introduced and created the long-gun registry. The registry failed and did nothing to support hunters. I voted and fought to get rid of the long-gun registry. I will never support, a wasteful registry that will require more paperwork and bureaucracy for our hunters and law abiding gun owners. This policy proves that the Liberals remain out of touch with needs and desires of Nunavummiut. I urge everyone to get the facts and ask Mr. Tootoo if this is not a registry then what is he proposing? ????? ??? ???? ?, ????????? ???? ???????????? ?????? ????? ???? 19?, ?????? ????????? ??????????? ?????? ??????? ?????????? ???????? ????????. ????? ????? ?????????? ????????????? ???? 13?, ???? ??? ??????? ????? ?????? ?????????? ????????? ??????????? ??????????? ??????? ???????? ??????? ????. ??? ??????????????? ?????????? ??????? ??????????? ?????????? ??????????????. ????? ???????????? ???? ?????? ?, ?????????????? ??????????????. ??? ?, ????????? ?? ?, ???????? ???????? ??????. ?????? ?????? ?????????? “?????? ???????????? ?????????? ????????? ??????? ?????? ?” ???? ????? “??? ??????????? ?????????? ????????? ????????? ????????????? International Arms Trade Treaty???. ?? ?, ?????? ????? ????????? ?????? ?????? ????????? ???? “??????? ???? ?????? ????????????.” . ?????? ????????? ???????? ???????? ? ???? ?????????. ????? ?, ?????? ?????????? ?????????? ????????. ?????????????? ?????? ?, ????????? ???????? ???????? ??????????????? ??????? ?????? ??????. ?????? ????? ?????? ????? ?????????? ???????? ??????? . ? ?, ?????? ???? ??? ??? ?????????? ????????? ???????? Thanks to all who listened to the CBC forum last night. Please take the time to learn the platforms and get out and vote on October 19th! It was great to be in Hall Beach earlier this week! Great to see strong support from NTI, the Government of Nunavut, and Nunavut Fishing Industry Representatives for the Trans Pacific Partnership. Thinking of my sister today. Happy Birthday Celine! It was great to be back in Pond Inlet for the weekend! Thank you everyone for your warm hospitality throughout the cold, windy weather! FACT CHECK - Nutrition North Canada (NNC) Funding. The NDP Plan will expand to an additional 50 non-Nunavut communities. What this actually means is that the NDP is proposing to spend less money for even more communities. Minister Aglukkaq delivering a speech at the ICC’s 12th General Assembly on July 21, 2014. Statement from Leona Aglukkaq, Conservative Party of Canada Candidate for Nunavut September 29, 2015- Rankin Inlet, Nunavut I welcome the report released by the Energy Options Working Group (EOWG), a working group established under the Hudson Bay Regional Roundtable, which studied the possibility of a hydroelectric power transmission line that runs from Churchill, Manitoba to the Kivalliq region. New renewable energy options for Nunavummiut must be a priority of all levels of government and Inuit organizations. The report includes information on the socioeconomic and environmental benefits for Kivalliqmmiut and the development of the mineral industry in Nunavut. I have long advocated for this project while serving as the Member of Parliament for Nunavut and am happy to see progress being made to advance this project. Our Conservative Government introduced the New Building Canada Fund that provides long term stable funding to the Government of Nunavut for projects just like this one. This project stands to benefit Kivalliq residents and communities by: -Saving on projected diesel expenditures - Reducing greenhouse gas emissions -Improving economic development opportunities - Creating jobs for Kivalliqmmiut If re-elected on October 19th I will continue to be an advocate for this project and work to move it to the next phase. Hey Rankin Inlet- Come by and see me tomorrow morning at the Tim Hortons at the Northern Store. I will be there from 8:30-9:30am. Drop by and say hi! Thank you so much for taking the time to meet with me! Was wonderful to see my mom before the debate today. She gives the best advice! Great to see everyone in Cambridge Bay! My deepest condolences to the family and friends of Michael Levi and to the community of Arctic Bay for your loss. Great to see Jack at the airport in Cambridge Bay. Love campaigning in the North, wishing him safe travels. Congratulations to Naujaat hunters on the first successful bowhead whale hunt of the year! Congratulations to Natan Obed on being elected as president of Inuit Tapiriit Kanatami (ITK), I am happy I was able to be in Cambridge Bay to see it. It was great being back in Taloyoak and seeing so many familiar faces! It was wonderful to be back home in Gjoa Haven this past weekend. Thank you every one for your support!